What is a New Year for Thailand? When the world celebrates New Year once in a year, Thailand does it thrice. As one of the most visited Asian counties, Thailand has an open heart for all celebrations, they love fun more like they love to eat. Also, they never forget to share their joy with their guests as well. The smiling faces of Thai people are an inspiration that surges every visitor to have a go again. The New Year starts far before Dec 31 for Thailand. On Dec 31, they join with the world to crack their happiness to welcome a new season. They also await the meeting of the two needles at midnight. There starts their New Year party. Since they are culturally and geographically an eminent part of South Asia, they love to take part in Chinese New Year which ushers in between Jan to Feb. Yet, an innate Thai can’t suffice his long with these flickers of happiness. There is a day; they love to call it ‘Songkran’ the traditional New Year of Thailand. And, it is the day they soar to the epitome of joy to welcome their expensive New Year. Thailand’s New Year cannot be confined around a certain location. The landlocked north to the southern coastlines is insanely authentic in celebrating the New Year. It is vibrant form the north to the south end, nothing less. Griping on their culture, they aloof with the world to usher in all sort of joy to slurp at once. The corridors of Bangkok to the creeks of highland jungles would be lighted with fireworks and delighting smiles of people. Down from the heart, they wish ‘Sawatdee Pii Mai’ (Happy New Year). Especially at, Chiang Mai, you cannot cross a single street without admired by this words. So, Chiang Mai is the most appreciated as well as the anticipated spot to witness the real ecstasy of Thailand’s New Year. The whole night will be a mesmerizing experience that never dares to tire us. The magical fireworks, mesmeric art forms and the overwhelming air floating lanterns that spread the golden hue across the tropical landscape. It’s vibrant all the way from the peaks of the north to the shores of the south, nothing less. 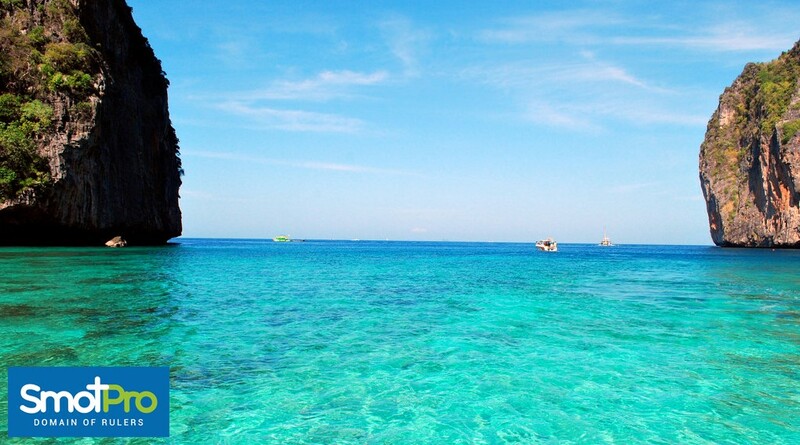 Phuket is the next attraction that holds a lot of surprises for every visitors. The isle is rich in its authentic taste and pride of its luxurious spas and resorts. 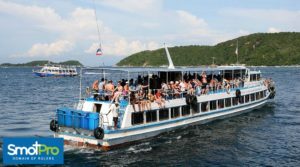 Phuket is the home of one of the top party hubs of the world Patong. As the tides thump on the shores of Patong, people party along the cadence of the beach. 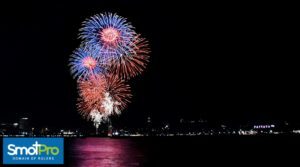 World-class events, concerts, fireworks will deluge the entire beach side into the ocean of joy. Pattaya is nothing more than the epitome of fun, particularly at the New Year. This coastal city is scarce of a no-fun-spot. Sporty beach rides, warming sunbath, blasting music fests and the endless party is what Pattaya offers us. They have all the tastes to relish their hosts. The gleaming streets and the shimmering beaches will spoil us with choices. Above all, the amazingly beautiful Alcazar show will entertain you with wonderful eye-popping Cabaret shows. Alcazar show is impeccably a blend of culture, clours, music, extravagance and alluring charm. Also, the charming Coral Island makes Pattaya a piece of savor that drools every tourist who has an itch for water sports and excited to rush into the thrill. There are a lot more jaw-dropping events awaits us in Thailand from the dusk of 2018 to the dawn of Jan 2019. The lush tropical forest spans around the highlands, the chilling springs that brew aqua blue brooks, and the cheering natural coastlines would be a relish throughout the seasons. The preeminent boasting factors of this former farming country are now its fun-loving culture. Over the passing of seasons, the country with prolific cultural and splendid cuisine enchants the world to sip the blend of joy at its peak. The valleys of Thailand is well known for its receptiveness, and it is never-die smile for her visitors. The vibrant green jungles are enriched with untouched brooks that chill us down to the bottom of the earth. 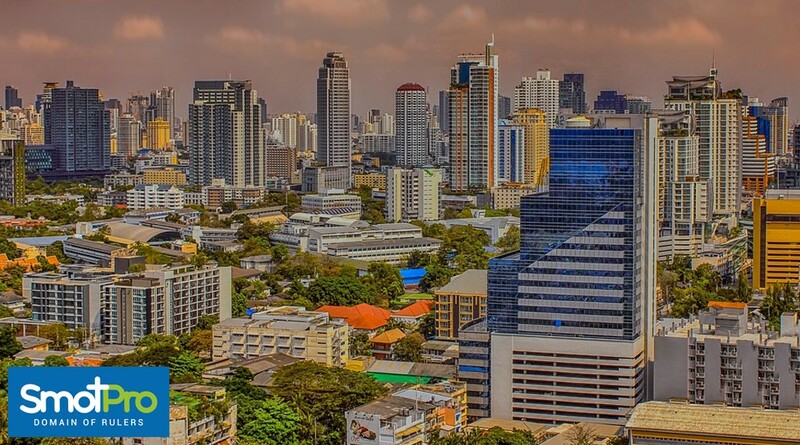 The bustling capital city Bangkok is a real hub for shopaholics and party lovers. 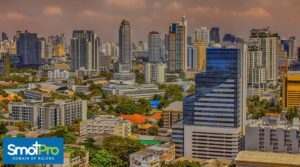 The corners of the city that spans from infamous night spot ‘Silom’ to the budget trotters guest house ‘Khao San Road’ offers probably everything around the world. China Town is another exciting part of Bangkok that has a lot of surprising delicacies and old stories to tell and sell. Altogether, Thailand is awe-inspiring and equally enchanting in all its aspects. How can we slurp all of it in a single go? SmotPro has an answer for you. Ever feel like you can taste all the delicacies of Thailand at the peak party season of ‘New Year.’ Moreover, it’s possible to feel the charm of isles that flows through the enchanting brooks with a hint of culture, tradition, and tranquility that blends with the colors of the world and its diversity at once there. Just, choose our exclusive New Year Package that can quench all of your thirsts to party, to shop, to delve and to relish.